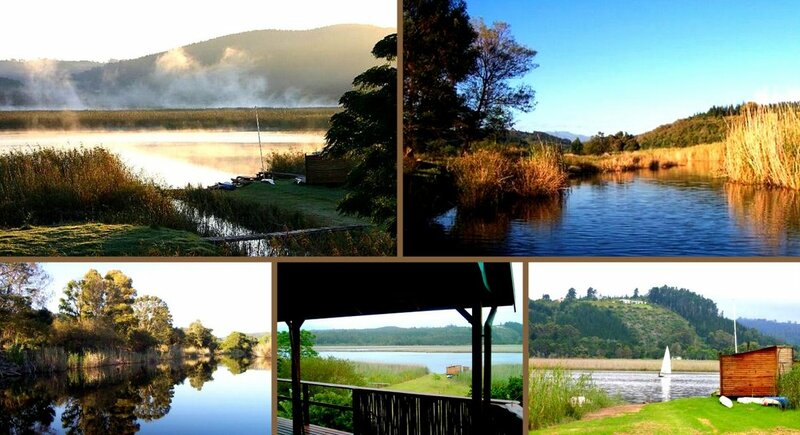 Situated near Sedgefield along the banks of Ruigtevlei, we offer a secluded self-catering tent lodge accommodation that sleeps a maximum of 4 people. Nestled in amongst the Milkwood trees, with stunning views of the lake, the tent has two rooms, the main room having a double bed and the smaller room with a bunk bed. There is also a fully equipped rustic kitchen and braai area, as well as outside covered bathroom with toilet, basin and shower which have views of the lake too. Enjoy easy access to the water for swimming, and use of canoes and paddleboat to explore the beautiful vlei and river system. There is also good fishing and a wide variety of birds and animals for the nature enthusiasts.